Can you no longer wait to use your new smartphone? If your telephone provider is taking too long to deliver your new nano SIM, or if you do not want to risk cutting your SIM freehand, this Nano SIM cutter was made for you. Old smartphones had the standard SIM card, then if you had an iPhone 4/4S, you had a Micro SIM. Today, with technology miniaturization, the new iPhone generation and many other devices adopted the Nano SIM. 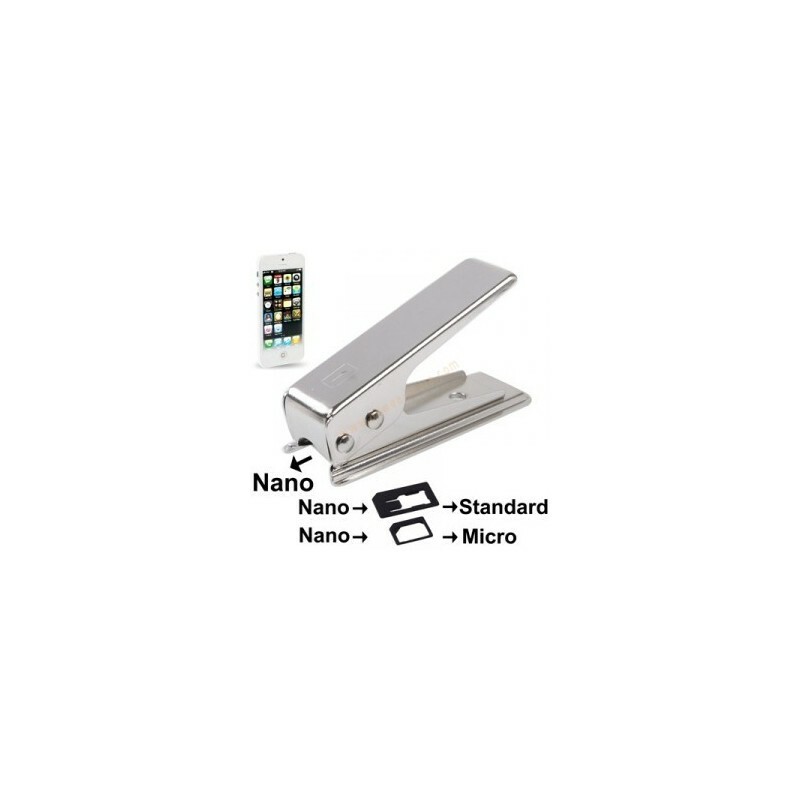 Now even smaller, the Nano SIM cutter allows you can benefit from all your new phone's features in just a few seconds. Easy to use, it offers a clear and precise cut to ensure the SIM will perfectly fit the SIM tray of your phone or tablet. 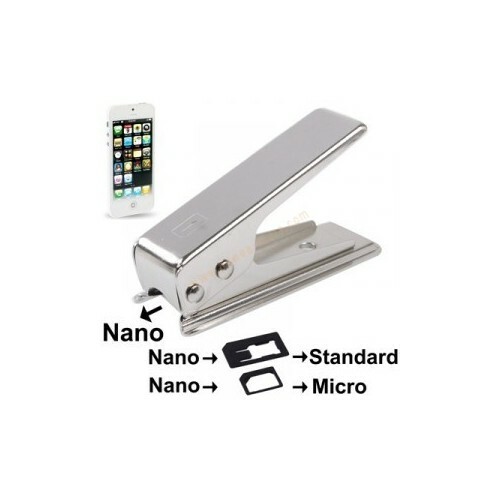 This robust cutter can also be used as a stapler to only keep the chip of a SIM card. Thanks to the integrated adapter, all you have to do is put the SIM card that you want to cut, press down, and pick up the phone! 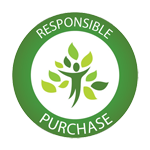 Do not wait for your phone providers goodwill to (finally) take hold, or waste time running to a shop to get a Nano SIM. Includes the adapter allowing you to transform your Nano Sim to SIM or micro SIM!